Colonel James Skinner raised the famous cavalry corps in India known as Skinner's Horse. Skinner (1778-1842) was of mixed parentage, born of a Scottish father and Rajput mother. At the age of 16 he was taken under the wing of the French commander of Maharaja Scindia's forces. He went on to acquit himself well in many battles and become one of India's leading mercenaries. 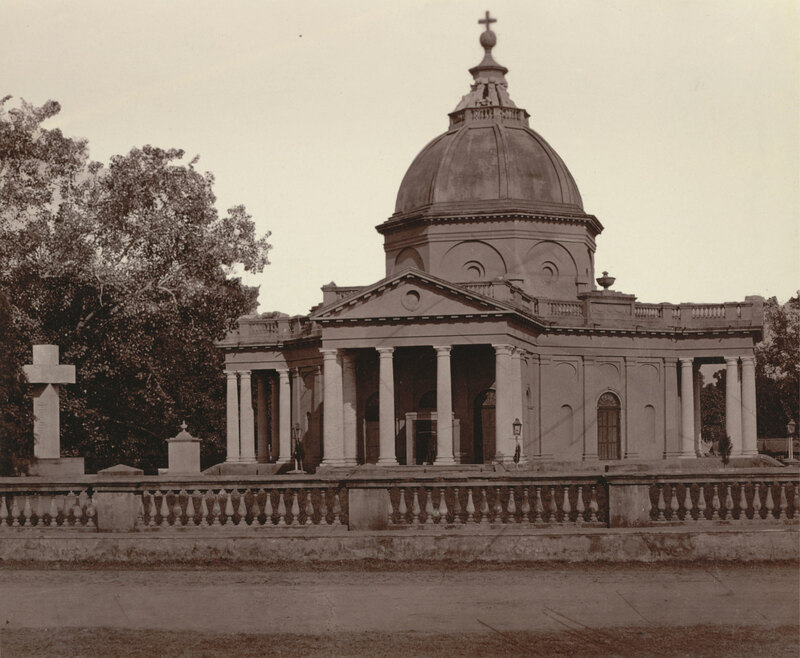 St. James's Church in Delhi was founded by Skinner who while lying wounded on the battle field vowed that if he survived he would build a church in thanksgiving. It is the oldest church in Delhi and is built in the shape of a Greek cross, with a dome reminiscent of the Renaissance style. It was designed by Major Robert Smith; building commenced in 1826 and finished ten years later. Skinner himself is buried within the church.